You may print out this application and fill it out before coming to the Sheriff's Office. All signatures MUST be made while present at the Sheriff's office. New Conceal Carry Permits are $90.00 to apply. You can also download the application here. You must have Adode Acrobat Reader installed in order to view, open, and print this online application. Paper applications can also be picked-up at the Sheriff's Office. New Conceal Carry applications normally takes 45 business days to complete. The total cost for a Concealed Handgun Permit is $90.00. This fee includes a $90.00 application and fingerprint fee. 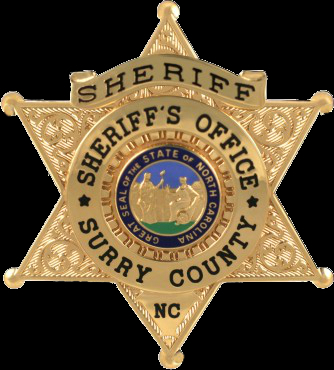 All signatures must be made while present at the Surry County Sheriff's Office. Once ALL specified documentation has been received it takes approximately 45 business days for the process to be completed. When we receive your permit we will call you or send you a letter advising you that your permit is available to be picked up Monday, Wednesday, Thursday, Friday from 8:00 AM until 5:00 PM. Tuesdays from 8:00 AM to 8:00 PM. Please make sure if your phone number or address changes that you advise us of those changes as soon as possible.